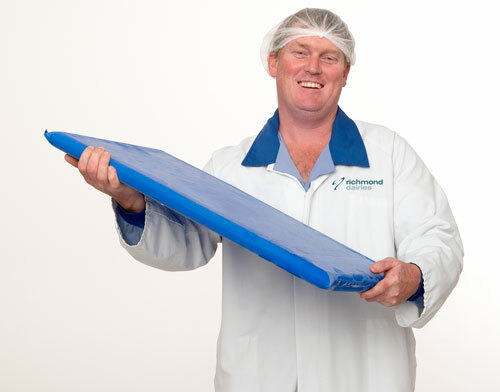 Richmond Dairies has a long history of innovation and product enhancement. We have the technology to develop a product to suit your specific needs. Contact us for more information. For export and domestic customers. This is the most economical form for export because of its low levels of moisture. This has the highest possible level of butterfat without the processed flavour of butter and the consequent mouth feel of high levels of free fat. Is a valuable free base for a wide variety of dairy products including whole milk and ice cream. This product is soluble in water and will recombine with other non-fat dairy products. Has a frozen shelf life of 18 months from the date of manufacture. Contains 44.5% solids non-fat and 0.5% butter fat. Highly desirable alternative to skim milk powder because it reduces the processed flavours of skim milk powder and has improved solubility. Highly recommended for drinking yoghurt, whole milk and modified milk (reduced fat/high protein) products. Contains approximately 13% butterfat and 32% non-fat solids. Ideal for reconstituting into whole milk. Ideal to be used as a base ingredient for yoghurt drinks.